PHOENIX, June 15, 2016 /PRNewswire/ — OneGuard Home Warranties is having a historic June with two exciting announcements. First, the company was recognized by azcentral.com and Republic Media for earning a spot on the list of 2016 azcentral.com® Top Companies to Work for in Arizona. All participating companies completed an assessment process conducted by the independent workplace research firm, Best Companies Group (BCG) focusing on core areas such as: Benefits and HR policies, Leadership and Planning, Corporate Culture and Communications, Role Satisfaction, Work Environment, Relationship with Supervisor, Training, Development and Resources, Pay and Benefits, and Overall Engagement. OneGuard is also excited to announce a new partnership with Opendoor, a San Francisco based company leveraging technology to become the consumer marketplace for homes. Last week Opendoor announced the launch of a new program titled Opendoor Guarantee, the first satisfaction guarantee for home buyers, aiming to eliminate the risk and uncertainty associated with buying a new home. As part of the program, Opendoor home buyers will receive an exclusive two-year home warranty powered by OneGuard Home Warranties to alleviate the hassles of unexpected repairs of home systems and appliances and to make home maintenance easy. To learn more about OneGuard’s home warranty services, visit the company’s website. Opendoor, the consumer marketplace for homes, removes all the headache, uncertainty and risk from buying and selling real estate. 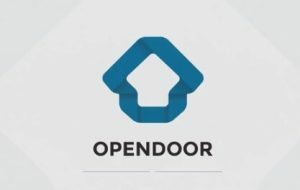 Headquartered in San Francisco with offices in Phoenix and Dallas, Opendoor was founded in March 2014 by Keith Rabois, an investment partner at Khosla Ventures, and CEO Eric Wu. The Opendoor Guarantee is subject to terms and conditions. For more information, please visit www.opendoor.com.